Cassie has a gift for reading people. She was taught the art of close observation by her mother who made her living by pretending to be a psychic until she was murdered five years ago. Since then Cassie has been living with her father's extended family but hasn't ever felt really at home with them. 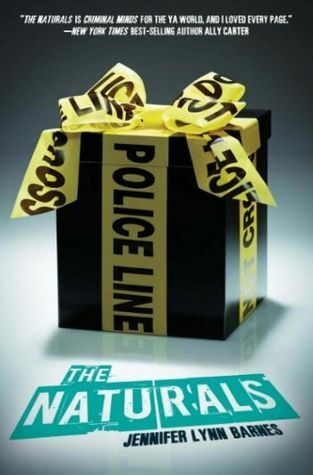 So when she is offered a chance to join the FBI, she agrees to move to Washington, D.C. Cassie becomes part of the Naturals unit, a group of five teens who all have a natural ability to read people and crime scenes formed to help solve cold cases. Cassie is trained by agent Locke and partners with Dean, another teen gifted in profiling people. Although the teens are only meant to be honing their skills on cold cases, Cassie is drawn to the real case the adult agents are working on because the killer seems to have a signature exactly like the one who murdered her mom. This is an engaging, quick read and a perfect title for fans of any forensic mystery writer or TV show. Although I liked the story, I do wonder about its appropriateness for teens because of the passages getting inside the mind of the killer and the confrontation with said killer at the end. I also found the entire revelation of the killer fairly implausible but if you just go into it willing to enjoy the ride and suspend your disbelief, you'll be fine.